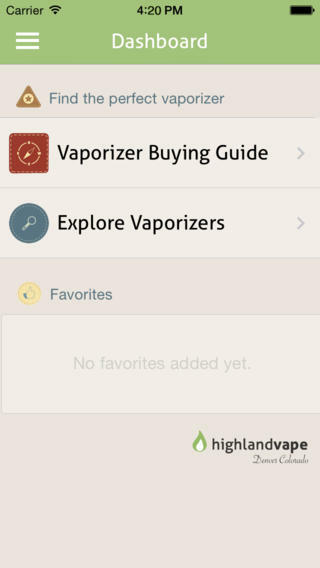 Highland Vape - Denver App Co.
Highland Vape was a great project to work on. 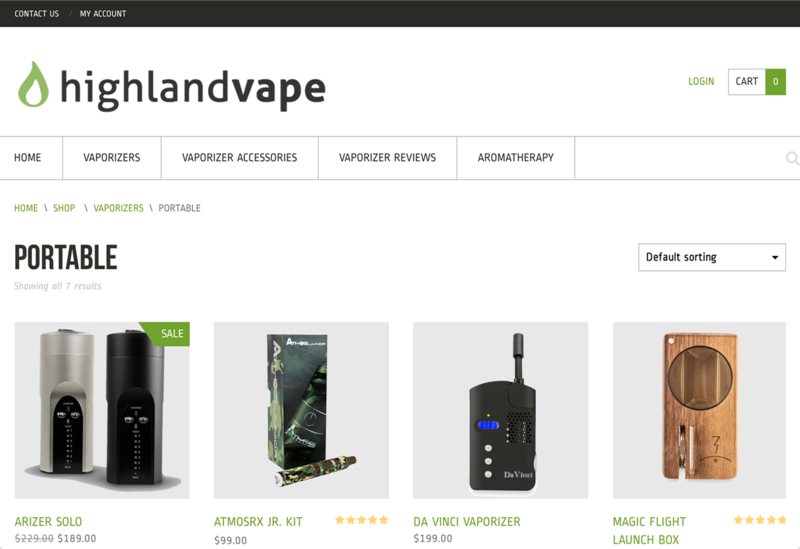 We did a custom e-commerce shop integration with an iOS app. 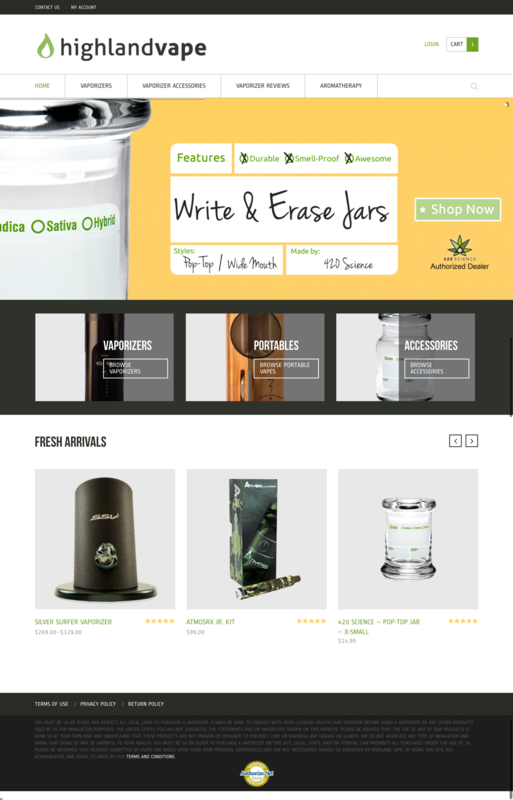 The website and the iOS app are both powered by WordPress so the client can make simple updates and their store is always in sync. 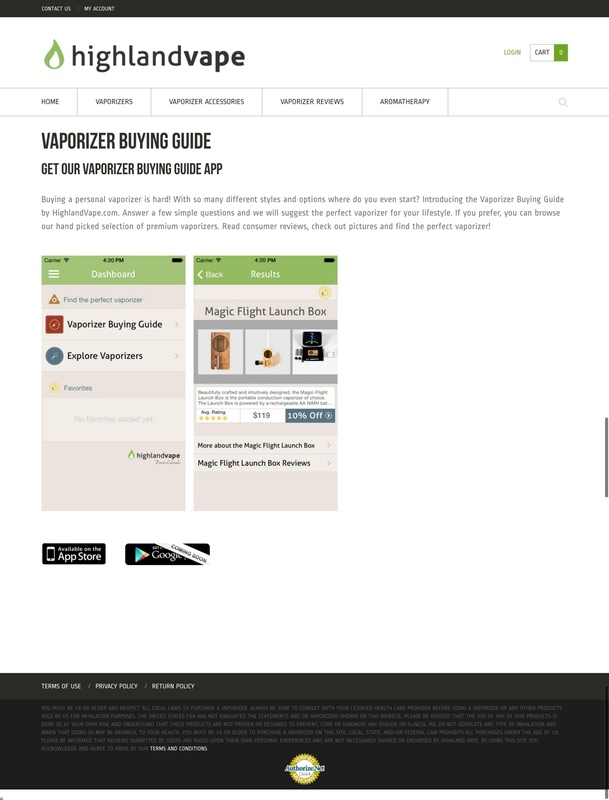 The buying guide app is driven by attributes easily updated by the client. 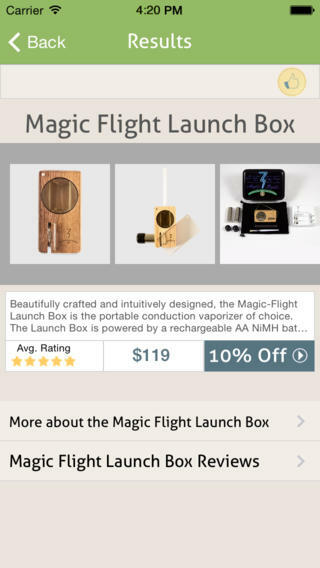 Changes to products and attributes appear instantly in the app. 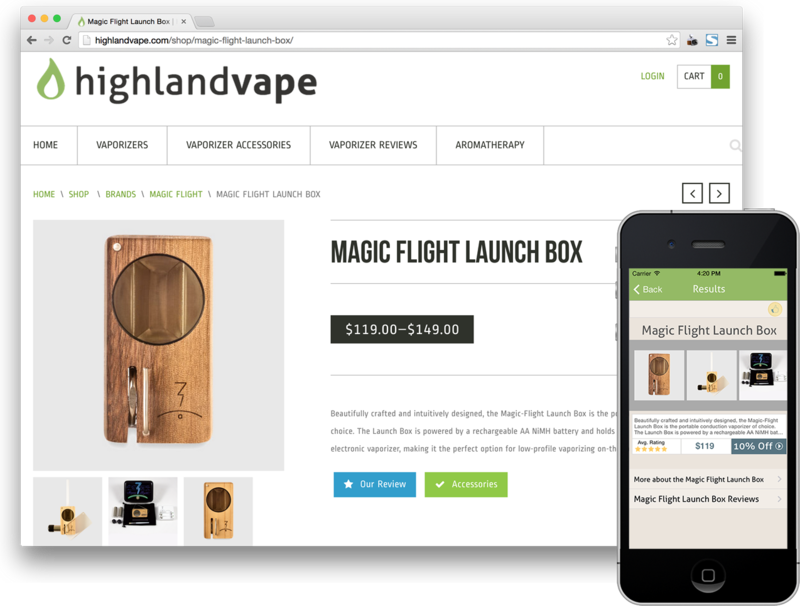 The site features a secure integrated payment solution with Authorize.net allowing customers to check out seamlessly on their website. Let Denver App Co. take your business to the next level with beautiful websites and amazing mobile apps.